The Definative Guide - Book Only. This extended user guide covers everything there is to know about word processing on the Amstrad PCW9512+, all explained in a straightforward, jargon-free way. 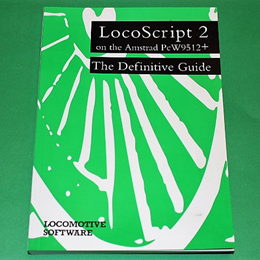 The book's four main sections cover basic word processing, spell checking and advanced features. There are also six detailed appendices including a glossary or terms and a good troubleshooting section. A 274 page paperback in mint, as new condition.